For 53 years, the Pope and Young Club has grown to become the leading organization in North America promoting bowhunting and sound wildlife conservation. 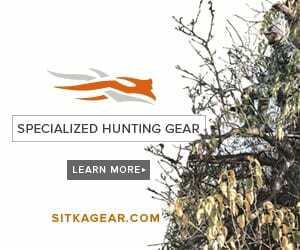 The organization modeled after the Boone and Crockett club and founded in 1961 as a nonprofit scientific record keeping organization advocates for and encourages responsible bowhunting by promoting quality of animals, wise use of our natural resources, fair chase hunting and sound conservation practices. Pope and Young was named after Pioneer bowhunters Dr. Saxton Pope and Arthur Young who drew national attention to the challenge of bowhunting. Through the Pope and Young records program the club encourages quality bowhunting by awaiting interest in outstanding specimens of North American big game animals taken with a bow and arrow. The ongoing recording and biennial presentations to honor the quality of each species helps to promote the ideals of fair chase hunting. Through the P&Y Club’s conservation program members work to protect and promote wildlife, work tirelessly for wildlife conservation programs and stand as the beacon to promote bowhunting and our fair chase heritage. His words still resonate today with bowhunters throughout our nation. Through the Club’s Conservation Program, members lead others to participate in protecting and promoting wildlife, wildlife conservation, and bowhunting/outdoor heritage. This change will officially go into effect on August 1, 2014, as new Fair Chase Affidavits are created and distributed to our corps of volunteer official measurers. The change IS RETROACTIVE — meaning that animals previously taken, as well as those taken from this point forward, will now be eligible to be entered into the Records, provided they meet all other conditions/criteria. I am incredibly excited to see these changes come about as my own pursuit for a P&Y class buck continues this year with trips to Kansas, Nebraska, Missouri, Iowa and Manitoba planned. The entry system for P&Y is pretty straight forward and each animal must be measured and registered. I have a single bear skull from a few years ago that I am excited to get measured and entered into the book and I look forward to finding that first big Western Whitetail that I can get entered into the book.